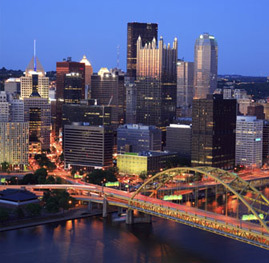 Based in the Pittsburgh area, Emerging Leaders Institute (Eli) is a boutique leadership development firm that helps transform leaders to be become more effective in the ever escalating complexity of work situations. Eli’s Leadership development work is grounded in the knowledge bases of Constructive Developmental Theory, Complexity and Decision-making, Adaptive Leadership principles, and the instruments and methodology of The Leadership Circle. Eli's clients are often organizations who are business savvy and are invested in driving results. They make the link between bottom line success and organizational culture and leadership. They may have even tried to make cultural results happen themselves, and still find something is missing. They know that they need to make an investment in changing the current reality of their organization, and also understand how they contribute to the issues they are facing. Our clients are committed to partnering with Eli rather than hiring a "consultant" to make their problem "go away." They want the availability, dedication, and know-how that we provide throughout the transformation process.